FLATTENED: Photographs from Base Camp after the quake-induced avalanche on 25 April 2015, and a damaged lodge in Pheriche. It has been exactly four years since the chair I was sitting on at Mt Everest Base Camp started to rock, and there was a deep rumble from beneath the Khumbu Icefall. It was 11:56 on 25 April 2015. We were 150km from the epicentre of the earthquake in Gorkha, but for one long minute we rocked and rolled. Then the sound was not from beneath, but above us. Although we could not see it at first because of the clouds, a chunk of the flank of Mt Pumori had broken off and was falling onto Base Camp, which was crowded with climbers preparing to go up the world’s highest mountain. The avalanche was filmed by my German climbing friend Jost Kobusch and can be watched on YouTube. 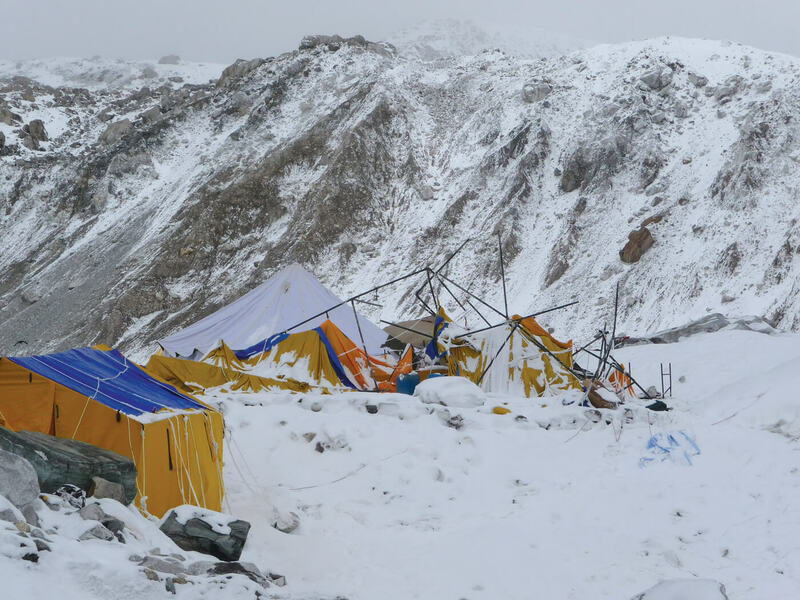 The wave of snow and ice over Base Camp, obliterating a section of it and killing 16 Nepali porters and guides and 2 foreigners. I did not suffer from post-traumatic stress after that near-death experience, and I do not get panic attacks when I see in my mind’s eye the terrifying, roiling cloud of ice that descended on us. But I can still hear the screaming and swearing of teammates as we ducked into our tents. I had been at that exact spot one year earlier on 18 April 2014, when another avalanche struck. 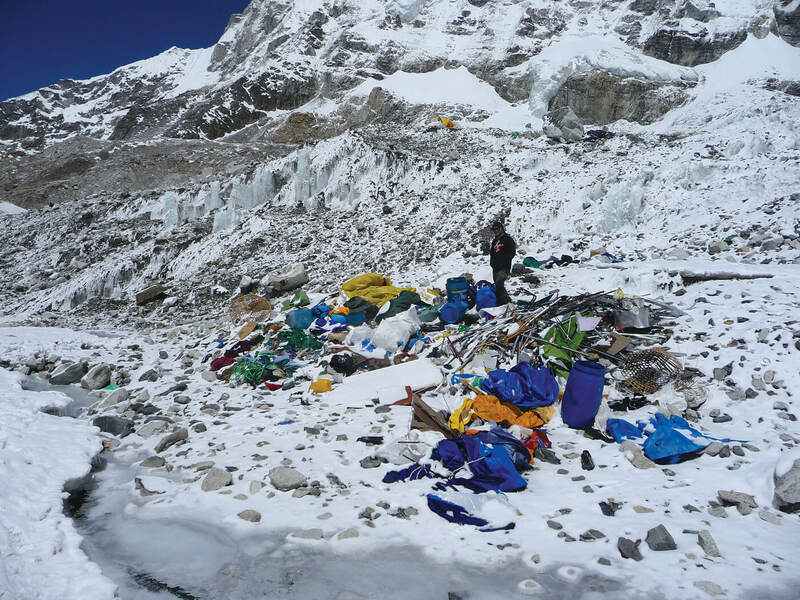 At about 6am, a serac broke loose from Everest’s West Shoulder and killed 16 high-altitude workers in the Khumbu Icefall. After being thwarted twice by the avalanches at Base Camp, I returned to the mountain in 2017 and 2018 to make another, and yet another, attempt. I had to turn back. But here I am again at Base Camp, where the memories of the 2014 and 2015 tragedies keep coming back. Mountain climbing is a risky business. We expose ourselves to danger by just being there. It is part of what we do. Avalanches, rock falls and earthquakes are called ‘objective dangers’, added risks to the hazards of climbing. The danger is disproportionate: for example our porters and high altitude guides put themselves in harm’s way more often as they carry gear up through the Icefall. The 2014 avalanche was a tragic reminder of that. And other Nepalis live with the danger of earthquakes all the time. 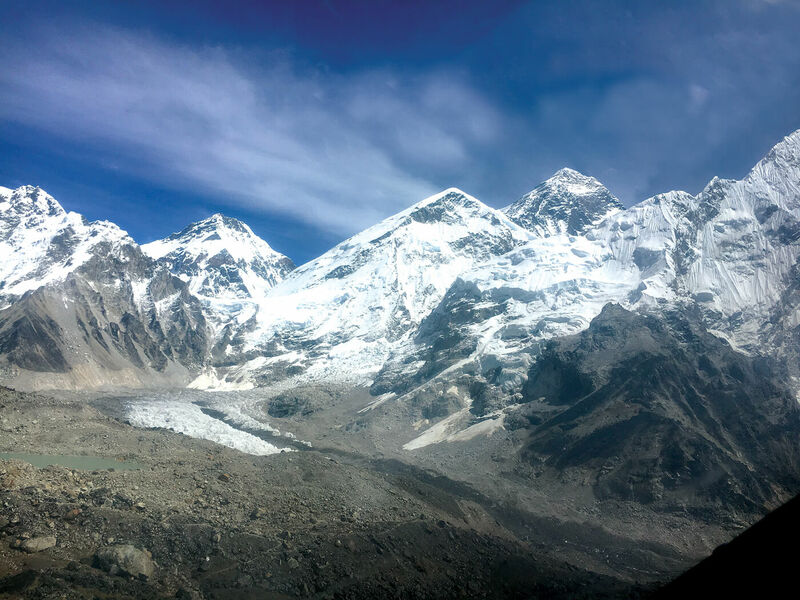 There are not too many scars of the 2015 earthquake and avalanche in the Khumbu besides landslides. Thame was badly hit, but was rebuilt quickly. 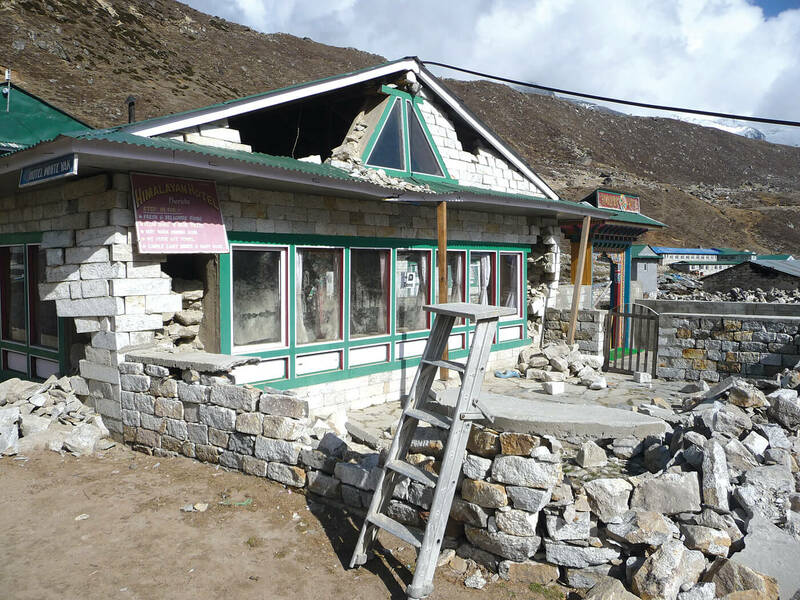 Many Sherpa families still carry the heavy burden of the loss of family members, but Khumbu’s strong sense of community has allowed them to rebuild and move on. It is inspiring to see a community manage to deal so effectively with disaster. I look up to the Sherpas, and admire the Nepali people for their strength of spirit and of holding together, a trait we have lost in the West. The Nepali attitude of Ke garné? (What to do?) is often given a negative fatalistic interpretation, but it holds a real inspirational lesson for me. There is nothing we can do to stop an earthquake, but we have to deal with it. That is precisely what Nepalis did – they coped brilliantly. They did not wait for help but started rebuilding themselves, and are still doing so. As a survivor of the 2015 earthquake myself, this is also what I personally learned from Nepalis four years ago: the ability to cope and move on. Too often, ‘hope’ means delegating to others what in fact you can still begin to do yourself. It is a bit like that in mountaineering. Although we rely on our high-altitude workers, we nonetheless have to set one foot in front of the other ourselves. We non-professional expedition members are not as strong as the locals. So, climbing Chomolungma is kind of like a bit of heaven and hell together, to paraphrase William Blake. But isn’t that what life is anyway? 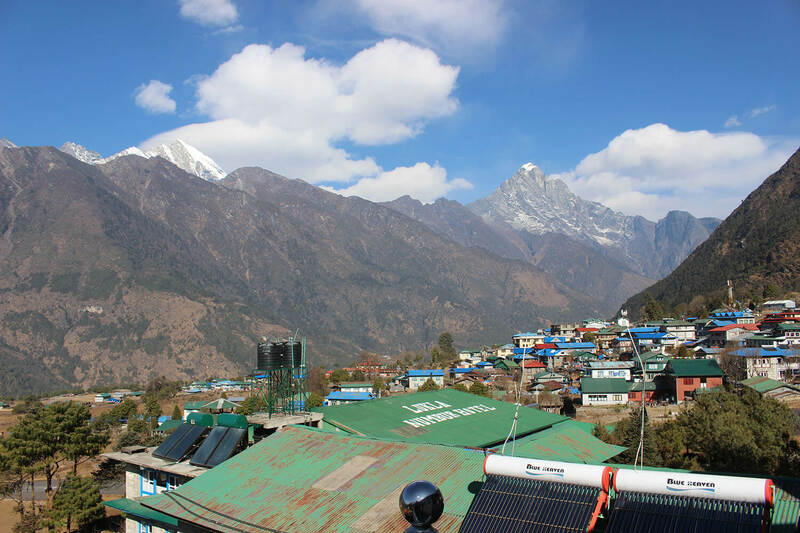 Being back here in the Khumbu is like returning to heaven, so beautiful and sublime is the environment, the friendliness of the locals. But it has also about suffering, exhaustion and danger. Four years after 2015, I feel an additional danger this year: I am more aware of what can happen naturally to all who live in this stunningly beautiful land. To be able to share that risk, I think, makes me a little more of a Nepali. Soon, I hope to make it to 8,850m and kiss the forehead of Jomo Myo Langsangma, as my friend Lhakpa Norbu Sherpa wishes I will. If that happens, I will dedicate the achievement to what I care most about: mero biralo, mero ama, ra mero Nepal. Damien Francois is a climber and author of The Holy Mountains of Nepal. 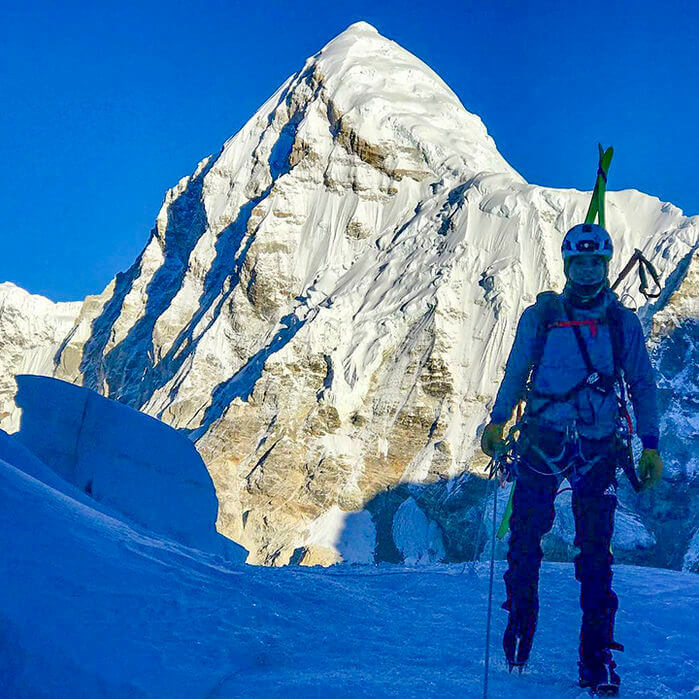 He lives in Eupen in Belgium with his cat, and his mother down the street, and is at Everest Base Camp this spring for his 19th expedition in Nepal.